A temple structured sarcophagus made of paper and light wood which believes to be the vehicle of the spirits for the deads when balinese held the Ngaben as Cremation Ceremony. 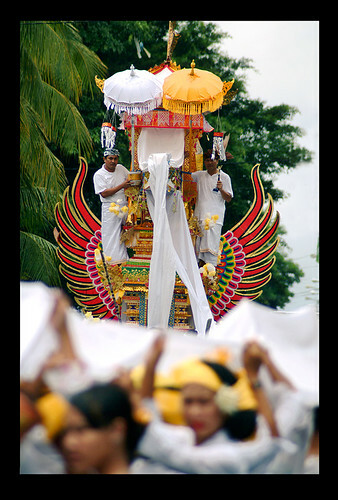 The Wadah will be carried to the village cremation site or grave in a procession. The ultimate procession is to burn the Wadah, using fire from a holy source.